Interesting insight into the Australian legal and welfare system. Keep the tissue box within reach. Something tragic occurs, involving an infant and her mother. Using letters to the judge written by the mother’s father, sister and a nurse, Caroline Overington builds a backdrop against which the horrifying event—not revealed until the final part of the novel—is put into context. Much of this novel sheds light on the ineffectiveness of the welfare and justice systems. Sometimes this is due to negligence or poor management, but it can just as easily be the result of good intentions. It’s heartbreaking to see how misunderstandings and the lack of resources can put already disadvantaged families into worse circumstances. There’s something necessarily contrived about Overington’s narrative voice—people generally don’t write letters in such a way. But I think she does capture, in Med Atley, that quintessential voice of the Aussie battler, who tries to do the right thing by his daughter and can’t understand why the system keeps letting them down. 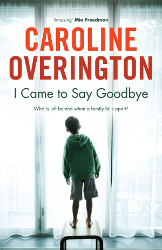 That Overington is also a Walkley Award-winning journalist just makes the book feel that much more real. I found the final twist to the story both tragic and uplifting. And yes, I was still a little surprised even though I read the last chapter first. Worth a look for the author’s insights into the Australian legal and welfare system, but keep the tissue box within reach. 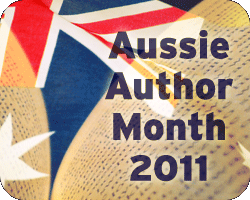 Tagged 2010 releases, aussie author month, australian authors, australian characters, caroline overington. Thank you for your kind words, regarding my book. The thing I’m most grateful for is those people who say I got the voice of Med right. That to me was the biggest challenge, so again, thank you! This Book was a wonderful read,so engaging,it read like a true crime as it related to alot of societies issues.